I’d love it if you’d help spread the word about this newsletter. Forward it on to friends, or sign up here. And do send me an email, to felix@axios.com, if you have any requests regarding what I should write about. Thanks! The Green New Deal resolution came out this week, featuring a list of ills afflicting America and the world, as well as proposed solutions. The big picture: To tackle the problems of declining life expectancy, increased economic inequality and stagnant middle-class incomes — not to mention saving the planet — the bill attempts to "create millions of good, high-wage jobs" and "provide unprecedented levels of prosperity and economic security for all people of the United States." The bill features a long list of investments in energy, water and transportation infrastructure, structured "in a way that ensures that the public receives appropriate ownership stakes and returns on investment." This is designed to "build wealth and community ownership." Fiscally, the idea is to use the existing tools of finance — banks, credit, equity — to turbocharge a level of investment that the market could never muster if left to its own devices. "The level of investment required is massive," says the FAQ. "Even if every billionaire and company came together and were willing to pour all the resources at their disposal into this investment, the aggregate value of the investments they could make would not be sufficient." This idea is not new, although it is of unprecedented size. The International Financing Facility for Immunization was launched in 2006 and raised $5.7 billion for Gavi, the global vaccine alliance. That money, in turn, saw an impressive return on investment, averting more than 4 million deaths. Those living individuals will contribute hundreds of billions of dollars to the global economy over the course of their lifetimes. A similar International Finance Facility for Education could launch as soon as this year. In the private sector, issuance of green bonds has been growing at an astonishing pace. According to the Climate Bonds Initiative, global green bond issuance rose from $13 billion in 2013 to more than $167 billion in 2018. 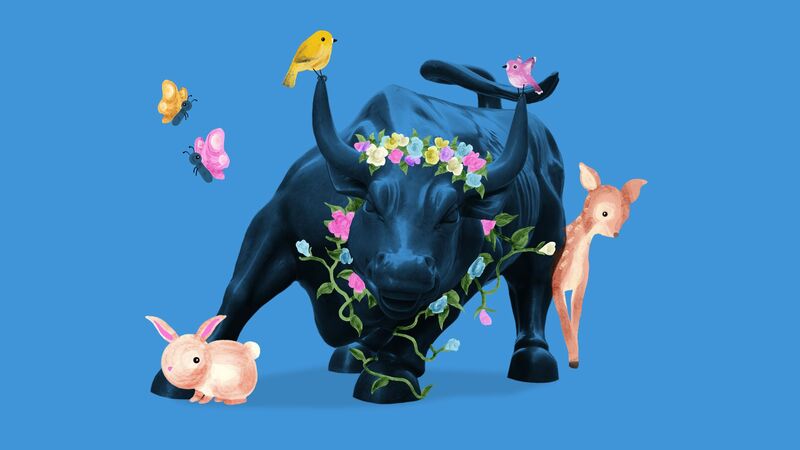 A record number of "socially conscious" mutual funds launched last year. Together, they now manage some $1.2 trillion in assets. Even Prince Charles is launching a $100 million social-bond fund designed to empower women in South Asia. The bottom line: Anthropogenic global warming is a function of industrialization and, ultimately, capitalism. The only force powerful enough to change the planet's climate is also the only force powerful enough to stop us from destroying it entirely. Spotify is buying two major podcasting companies, Gimlet and Anchor. Terms were not announced, but the Gimlet acquisition was reported to be worth some $230 million. In total, Spotify intends to spend as much as $500 million on acquisitions this year, to help it expand into "audio — not just music." Winners: Both Gimlet and Anchor were VC-backed companies. The influx of Spotify money into the podcasting space means attractive financial returns for big-name backers like Google Ventures, Accel, Betaworks and Lowercase Capital. Podcasting revenues remain small, and both companies worked very hard to try to grow not only the size of the total podcasting pie but also the size of their respective slices. (Gimlet specializes in high-quality storytelling, while Anchor is a platform making it easy for anybody to produce and upload their own podcasts.) With Spotify's size and wealth behind them, they will find both tasks much easier — while also feeling less pressure to maximize cash flow. Media acquisitions often end in tears. But there are two precedents that suggest this week's announcement could be transformative for Spotify in a positive way, and that Spotify could be an excellent home for its new acquisitions. Google bought YouTube for $1.65 billion in 2006; the property is probably now worth somewhere in the region of $100 billion. Anchor is essentially the YouTube of podcasts, and while audio will always be smaller than video, there's clearly a lot of room to grow in one of the few areas of the media universe untouched by the Google-Facebook duopoly. Amazon bought Audible for $300 million in 2008. The move helped Amazon dominate the audiobooks, which has proved to be much more enduring and lucrative than the e-book market. Audible was at the top of the audiobook market, just like Gimlet is at the top of the podcasting market. Armed with Amazon levels of investment, post-acquisition growth was spectacular. The bottom line: Music streaming services are commodities; they all do more or less the same thing. Amazon has audiobooks sewn up, which means that podcasting is the natural area for Spotify to try to differentiate itself from its competitors. And while Apple dominates the podcasting market today, Spotify is growing fast — and has the advantage of being available on any non-Apple device. The deal doesn't really change the American banking landscape, however, which remains dominated by the Big Four universal banks. America still has thousands of banks, with new ones still arriving. The tiny BankFlorida, for instance, with just one branch, is set to IPO this week. On a global level, regional American banks remain small. BB&T and SunTrust, together, will have about $441 billion in assets. That's enough to make them the 65th biggest bank in the world, per a 2018 S&P ranking. The combined bank will be smaller than Spain's CaixaBank; less than half the size of China Minsheng Bank; less than a third of the size of France's Group BPCE; and less than a ninth of the size of China's ICBC. Context: Size isn't always a good thing. Germany's Deutsche Bank, for instance, has assets of $1.78 trillion. That makes it more than four times the size of BB&T and SunTrust combined. Its market capitalization, however, is just $17.3 billion, which is significantly lower than either of those U.S. banks on their own. How unpopular are America's biggest banks? Here's a good indication: Fully half of the 10 biggest bank mergers in American history ended up with the acquirer giving up its name. NationsBank changed its name to Bank of America, Travelers changed its name to Citigroup, Norwest changed its name to Wells Fargo, and Firstar changed its name to US Bancorp. Now, BB&T is changing its name as well, probably to something cheerful, "consumer-facing" and focus-grouped to within an inch of its life by a New York branding consultancy. I'm guessing there will be a rounded typeface. The most powerful actors in the financial world might well be the index providers. They essentially compel all passive investors when it comes to their asset allocation. They also create the benchmarks against which nearly all active investors are measured. When indices change, billions of dollars of money can end up moving as a result. When it comes to emerging markets, the two giants of the indexing world are the MSCI for stocks and the EMBI for bonds. When those indices are altered, all emerging-market fund managers, be they active or passive, will feel the consequences. Index providers are susceptible to government coercion. China twisted MSCI's arm to try to persuade it to include Chinese stocks in its emerging market index. Meanwhile, Venezuelan politicians aligned with Juan Guaidó, who may or may not be the president of Venezuela depending on who you believe, want JPMorgan, which runs the EMBI index, to keep the country in the index, despite the fact that it's illegal for Americans to buy Venezuela's bonds. The bottom line: Everything is susceptible to human biases, even supposedly objective indices. People think that the S&P 500 includes the 500 biggest stocks in America, for instance, but it doesn't: Tesla has never been included. If you can influence the people who determine what gets into the index and what doesn't, that's real power. If Donald Trump is feeling embattled, perhaps he can take solace by looking across the pond. British Prime Minister Theresa May, having failed to deliver a workable Brexit, has an approval rating of just 33%. And if she's feeling embattled, all she needs to do is look across the aisle at the Leader of the Opposition, Jeremy Corbyn. His approval rating has now reached a truly abysmal 17%. Sovereign debt restructuring is almost unthinkable without Lee Buchheit. Fortunately, he says he is merely retiring from Cleary Gottlieb Steen & Hamilton, where he is a senior partner. He'll still weigh in on sovereign-debt matters, probably from academe. 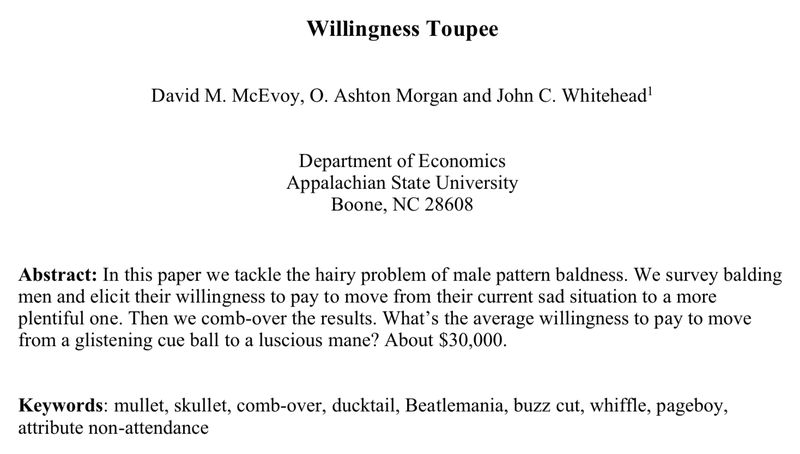 First line of the first paragraph: "Male pattern baldness is a hairy issue." First line of the last paragraph: "This research suggests an infinite number of layers and extensions." 8. Coming up: Another shutdown? U.S. and China will continue to try to hammer out a trade deal, writes Axios' Courtenay Brown, with negotiations taking place in Beijing throughout the week. Two sets of talks will take place, with low-level talks beginning on Monday. High-level talks with Treasury Secretary Steven Mnuchin, U.S. Trade Rep. Robert Lighthizer and Chinese Vice Premier Liu He start on Thursday. Don't expect much clarity on whether or not there's a "pretty sizeable distance" to go until a deal is reached, as Larry Kudlow said this week, or whether talks so far — described as "productive" by Mnuchin — mean that an agreement before March 1, the end of the 90-day trade war truce, is still possible. The government could shut down again if Trump and congressional leaders don't reach a budget deal by Friday. The real deadline is much earlier in the week if legislation needs to get passed by week's end. Some of the data delayed by the 35-day shutdown will continue to trickle out, with December retail sales out on Thursday. In Europe, Theresa May is expected to address parliament for an update on Brexit on Thursday. Expect more chaos, more amendments and more uncertainty about whether Brexit is even going to happen on March 29. Meantime, GDP figures for the U.K. and the eurozone are out on Monday and Friday, respectively. Germany's GDP is released on Thursday. The country had its weakest growth in 5 years last quarter. Donald Trump's first Manhattan development involved revamping the handsome Beaux Arts Commodore Hotel, next door to Grand Central Terminal, which dated back to 1919. He covered it in shiny glass panels, thereby turning it into the Grand Hyatt. Der Scutt, the design architect on the conversion, went on to create many more mirrored glass boxes for Trump and others, including Trump Tower on Fifth Avenue. The Grand Hyatt will now be demolished, to make way for a 2 million square foot mixed-use office tower and hotel. Workers at the Grand Hyatt will receive buyouts totaling $165 million. Elsewhere: Bernie Sanders and Chuck Schumer want to reduce stock buybacks. SoftBank announces a $5.5 billion stock buyback; its market cap rises by $17 billion as a result. Good news for payday lenders. Matthew Ball on Fortnite.